The headphones have a lightweight yet extremely rigid structure, thanks to the magnesium alloy used for its construction. The headphones weigh less than 265g. Double Air Damping System exclusively developed by Audio-Technica which improves reproduction of low frequencies. 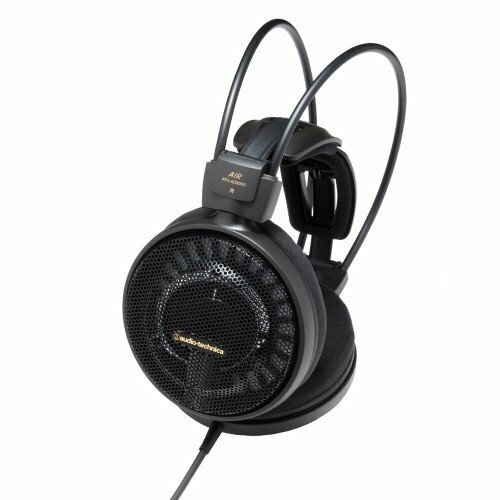 The ATH-AD900X has a connection cable made from OFC (oxygen-free copper) treated for improved conduction which avoids any sound alteration. The 3D Wing Structure system allows ATH-AD900X to adapt to different head shapes for optimum user comfort, making the headphones feel weightless, even during prolonged use.